Washington, April 3: Pilots flying Ethiopian Airlines Flight 302 initially followed emergency procedures laid out by Boeing but still failed to recover control of the 737 MAX plane and it nose-dived into the ground, according to preliminary findings reported in the Wall Street Journal. Citing unnamed sources familiar with the investigation, the Wall Street Journal reported on Wednesday that despite following the steps, which included turning off an automated flight-control system, pilots could not regain control of the Boeing 737 MAX 8. Earlier this month, the Federal Aviation Administration agency grounded all Boeing 737 Max planes, saying it had identified similarities between the Ethiopian Airlines crash and the Lion Air crash in Indonesia six months earlier. Ethiopian Airlines Flight 302 crashed March 10 after taking off from Addis Ababa on its way to Nairobi, Kenya, killing all 157 people on board. Lion Air Flight 610 crashed into Indonesia's Java Sea on October 29 after taking off from Jakarta. All 189 people on board died. Following the Lion Air crash, Boeing issued an "Operations Manual Bulletin" advising airline operators how to address incorrect cockpit readings. Airlines were told about "existing flight crew procedures to address circumstances where there is erroneous input from an AOA (angle of attack) sensor", a Boeing statement said. Boeing Crash Row: Pentagon to Probe If Defense Secretary Patrick Shanahan Used Office to Help the Company. If confirmed, the findings reported in the Wall Street Journal suggest that following emergency procedures in the Boeing handbook may not have been sufficient enough to prevent a crash. The reported findings come from a preliminary report that's required by the investigating authority to be produced within 30 days of an incident. The findings were not final and subject to change as the investigation continues, CNN reported. Other reported preliminary findings from data retrieved from the Ethiopian Airlines jet's black box suggest that the flight-control feature, called the Manoeuvering Characteristics Augmentation System (MCAS), automatically activated before the crash. The MCAS is a system that automatically lowers the nose of the plane when it receives information from its external angle of attack (AOA) sensors that the aircraft is flying too slowly or steeply and at risk of stalling. In the Lion Air crash, the MCAS forced the plane's nose down more than 24 times before it finally hit water, according to a preliminary investigation by Indonesia's National Transportation Safety Committee which also found the system was responding to a faulty sensor. US pilots who fly the Boeing 737 Max have also registered complaints about the way the jet performed in flight, according to a federal database accessed by CNN. Investigators pointed to whether pilots had sufficient training with the system. 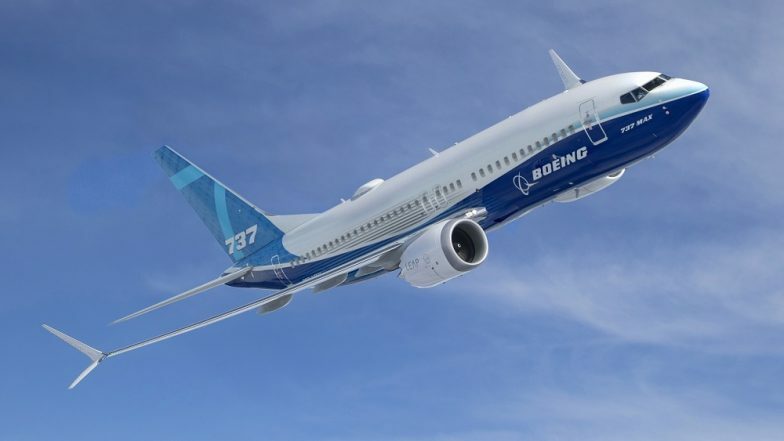 Boeing had earlier said it was working on a software fix for the 737 MAX jets but the Federal Aviation Administration (FAA) said that the company concluded "additional work" was needed. On Tuesday, a new Senate investigation was launched after whistleblower reports raised questions about whether FAA inspectors who reviewed the Boeing 737 MAX for certification were properly trained.